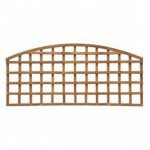 With a high quality finish, the unusual shape of this Dome Trellis allows you to let your imagination go wild, creating unusual and original garden displays. 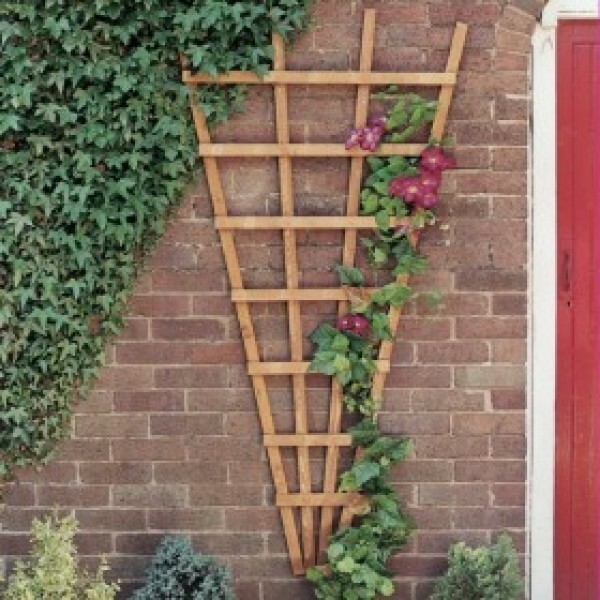 Trellis helps to provide support for climbing plants and flowers but the overall shape of the latticework can also contribute to the decor too. 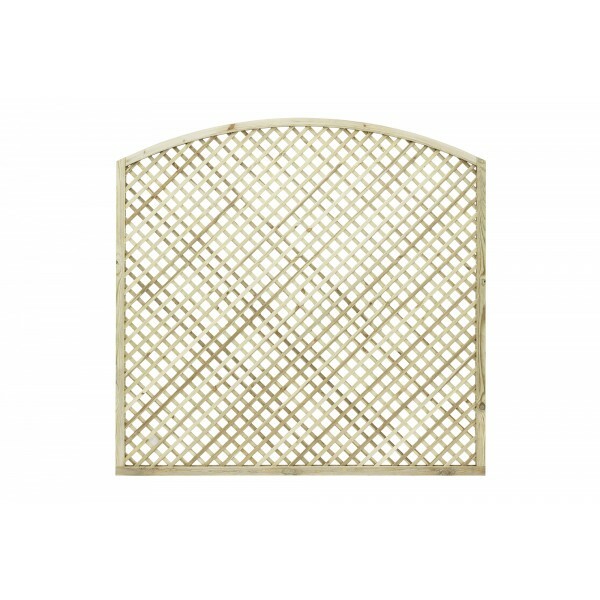 For an undulating effect that adds curves to your garden, combine the Dome Trellis with BTT110, the Bow Trellis. 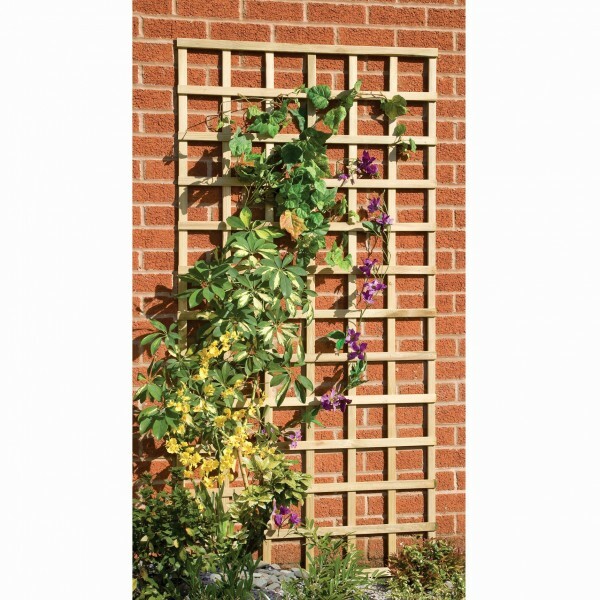 Used alternately with 75mm posts in between, you’ll be able to see a wave which ripples up and down, making an eye-catching feature. 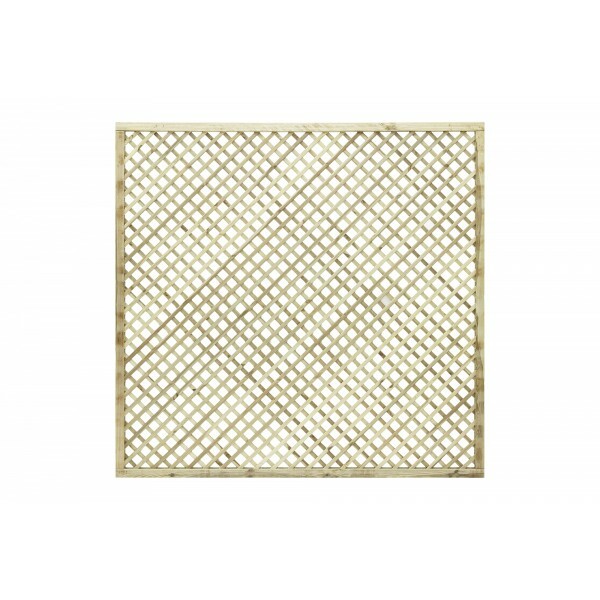 Each hole on the lattice is 115mm, making this a suitable choice for larger plants. 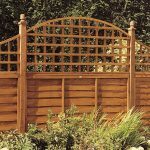 Each panel is made from fine sawn timber and then pressure treated. 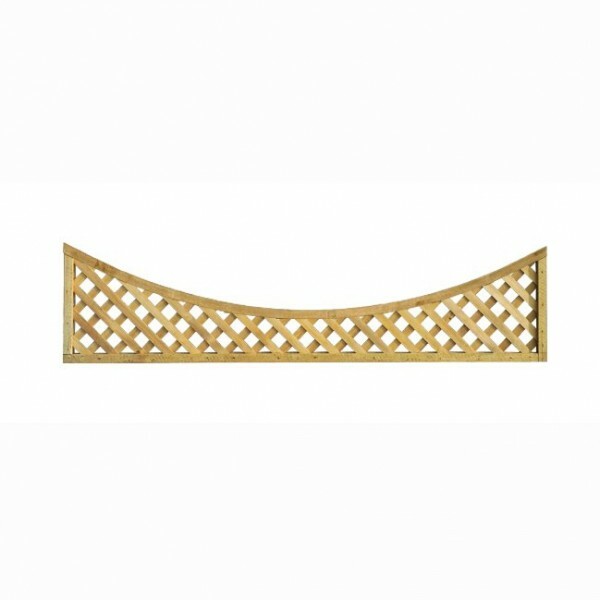 This ensures every piece is smooth and has a flawless finish. 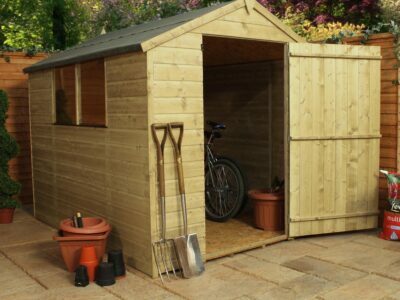 The treatment adds the familiar golden colour but is also a market leading type of weatherproofing, protecting your timber from the elements and guarding against rot and decay. We are proud to say that all of our timber products are ethically sourced and manufactured in the UK, minimising the carbon footprint as much as possible. We are based in the heart of Devon but offer delivery to mainland England and Wales. 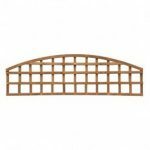 The larger dome sizes can be great as garden screens or plant supports against exterior walls. 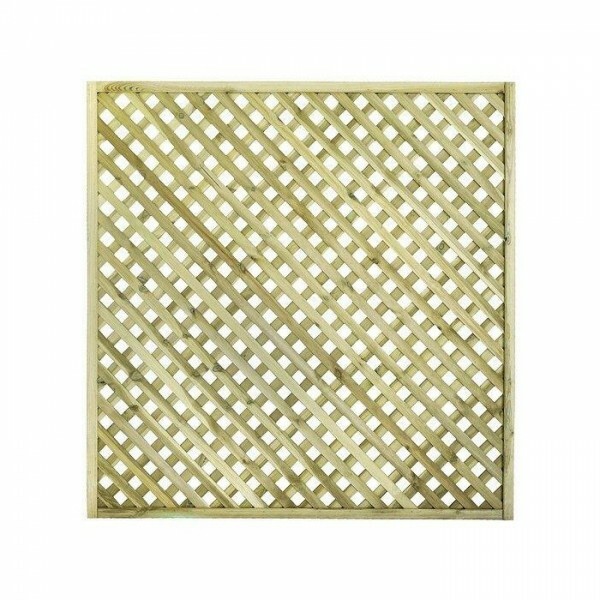 Trellis hole size is 115mm square. 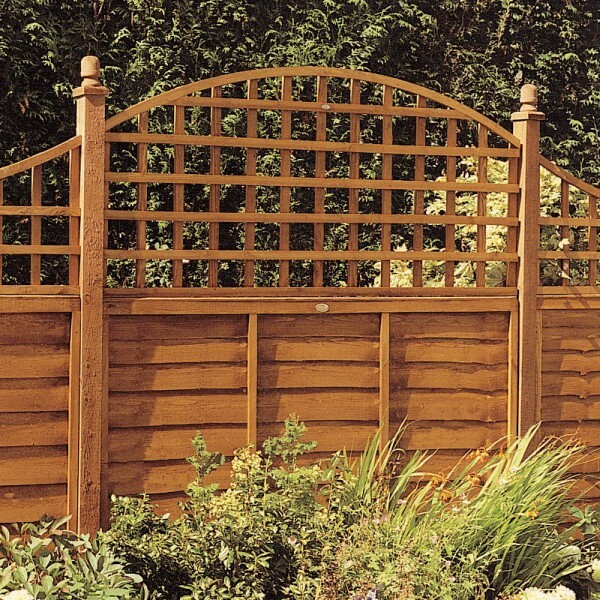 Made from fine sawn timber which provides a smooth superior finish. 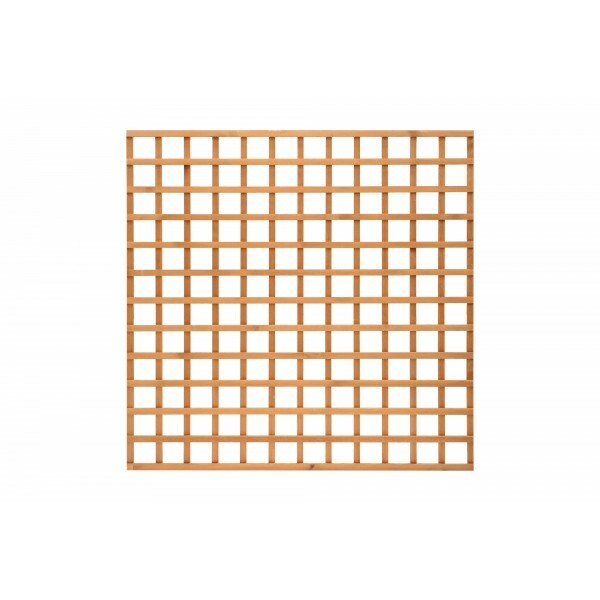 Pressure treated golden brown, first in the market in order to protect the timber from the elements.